Off topic: Get out there and vote today! 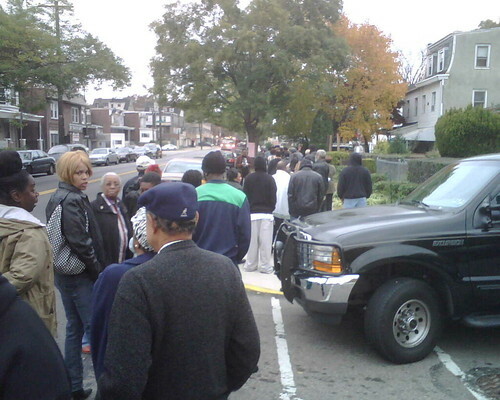 This was the line to get into our polling place this morning at 6:50am. Everyone seemed glad to be there and be part of the process in spite of the long wait. There were lots and LOTS of first time voters. Don’t forget to get out there and participate in the process today!! GO VOTE! OMG, that is one huge line! Well worth the wait though. I was surprised when we got to our polling center that there wasn’t a line and we went straight in.